Our honeybees are kept by a volunteer. You can find a hive in the Log Cabin, which is located in the Forgotten Forest and get an up close look at the hive and bees. Honeybees are very important to our environment! They are a pollinator species, and act as the primary pollinators for many of our plants. 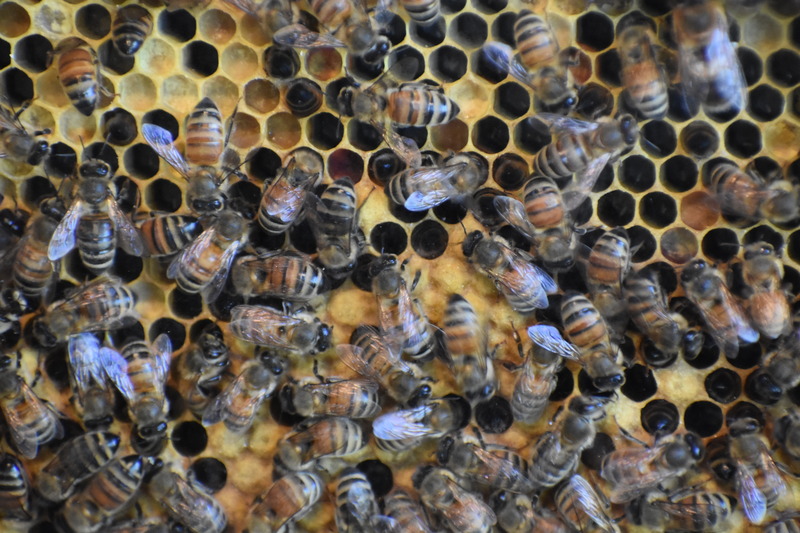 The queen is the only fertile female in the hive, and the queen can lay up to 1,000 eggs a day and 200,000 eggs in her lifetime! 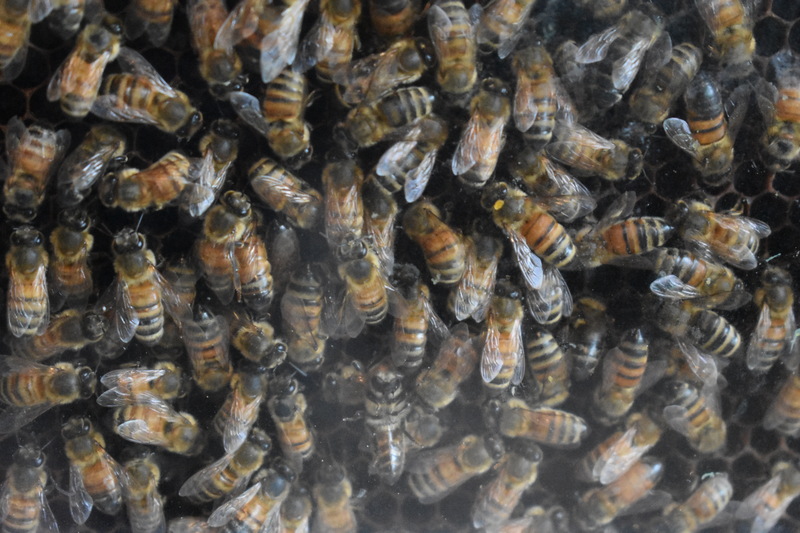 Bees communicate with each other through chemicals, dancing, and hearing the vibrations of their hive mates. They communicate about the location of food, if there is danger nearby, the state of the hive, and for many more reasons!